Run this each time you take on a new client at your criminal law firm. 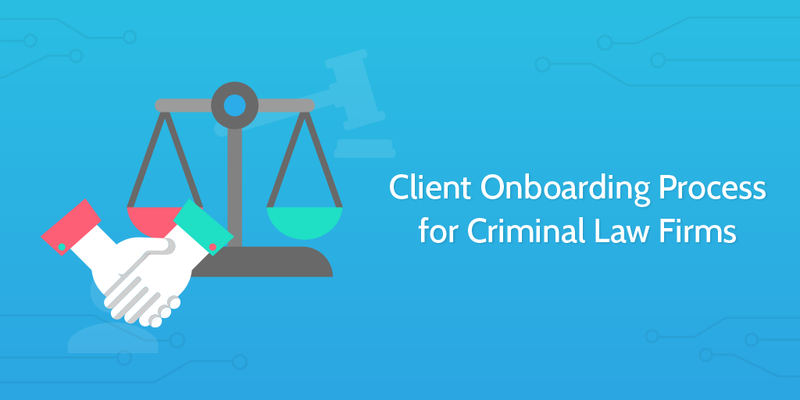 Having a uniform client onboarding process for your criminal law firm makes life easier for both you and your client. It also helps avoid malpractice lawsuits, which, according to LexisNexis, have a 4-17 percent chance of happening each year. Unlike some lines of work, compliance is one of the biggest issues at hand when taking on a new client. Having a solid process ensures you eliminate as many issues as possible that endanger your ability to perform your duty to your client. This checklist is designed to automate as much of that workflow as possible, saving you time and money, and allowing you to focus your energy on solving your client's problem and delivering excellent service. First things first, you need to record some basic information about your new client. Set this checklist up to automatically fill information from your CRM using Process Street integrations. Make sure the form fields below are completed, either manually or with an automation that lifts the data from your CRM. Obtain photocopies of identification documents such as a driver’s license or passport and upload a digital copy to the form field below. Upload a copy of the representation agreement to be sent to the client. Some criminal law contracts are very formal, whilst others are no more than a single page in length. More important than length and complexity is the content, in terms of what is actually being communicated. Details will include such specifications as when, and how much the client will be expected to pay, whether or not that incorporates court fees, and who exactly will be working on their case. Send this representation agreement automatically by integrating Process Street with your electronic signature tool of choice. The unsigned agreement will be attached to this email template and sent out to your client's email address. Make sure you are happy with the contents of the email and hit "send". Use the file upload form field below to upload the signed representation agreement when you receive it back from the client. Save time by using our integrations to automatically push uploaded files (like the signed contract below) into your CRM software. The intent of a welcome email in this scenario is to provide some initial value whilst simultaneously initiating a call-to-action (in this case scheduling an initial kick-off call). A great way to add value to a welcome email is to include interesting content that is relevant to your client's case or situation. This could take the form of articles, case studies, or a short but engaging video. If your welcome email is all of that and includes a relevant call-to-action, then you've nailed it. 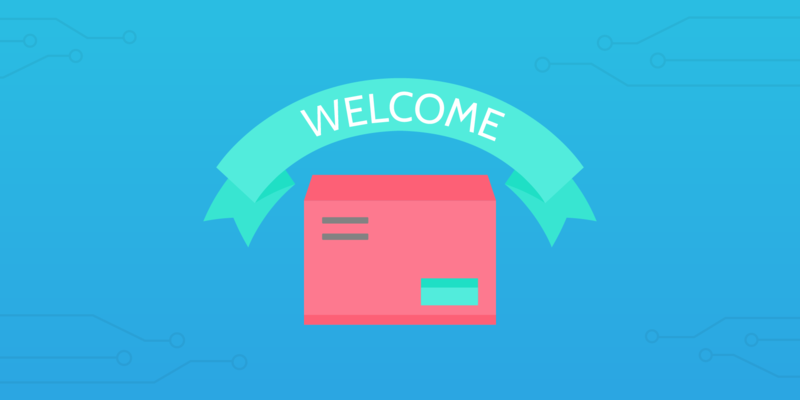 The welcome template below uses the example of a recent article written about your company, but you'll want to tailor it to best suit your own situation. Check over the contents of the email template below and hit "send" before moving on with your tasks. Set up one of our integrations to trigger an email to send when you've received the signed representation agreement. Ahead of the meeting, make sure you have an agenda prepared in order to make the most out of yours and your client's time. You may have a generic script on hand for extracting information during onboarding calls, or you may prefer to tailor the agenda for each client individually. Record notes to guide your meeting agenda in the form field below. The meeting notes from the previous task will be pushed into the variable field below so you can guide the focus of the discussion with your client accordingly. Use the form field below to record meeting notes as you go. Above you'll see a collection of all of the information you've gathered during the call with your client, ready for you to copy-and-paste into your CRM. Alternately, instantly send all of the information collected so far into your CRM directly from Process Street by setting up one of many integrations available (1000+ apps). Before going any further you want to make sure the client understands all of the billing options available to them. Simply edit the URL in the body of the email below to include a URL to your own pricing plan, or a document hosted on a service like Google Drive or Dropbox. Based on the information you have so far, consider what legal documents you will need to request from your client in order to proceed with their case and select them in the form field below. The information you filled out in the previous task is already in the email widget below, so all you need to do is check it looks okay and hit "Send". Once you've received all of the documents you need from your client, mark this task as complete and proceed with the checklist. Upload the documents to the form fields in this task so that they can be send to your CRM with a Process Street integration later on in the checklist. The form fields correspond with the drop-down selections available in task 17, but you may want to edit them to fit your client requirements. Next, send a questionnaire to the client. This is a simple yet efficient way to gather data from your client; check out this example questionnaire for new legal clients for an idea of how to structure a questionnaire for a criminal law client. Just replace the URL with one linking to your own questionnaire in the email widget below before hitting send. Once you've received back the questionnaire from your client, record a copy or link (depending on the type of questionnaire you used) in the form fields of this task. This information can be automatically sent into your CRM using integrations. Devise a strategy that addresses your client's current situation, considering their needs, goals, and specific circumstances. The purpose of this task is to collect all of the information and insight you have gathered on the client's case so far and consolidate it into a plan of action, which you will use to inform the client of their next steps and proceed with the arrangement of future meetings with your client. Advise what further information, documents, and research you need before you can give your final opinion or recommendations. You might consider looking more deeply into past convictions, medical history, or anything relevant that might help you make a case and decision. Make sure your client fully understands what you both should be doing prior to any future interviews or hearings. Be sure to address the client's situation in both the short-term and long-term, and make it clear what they should and should not expect of you, using the sub-tasks below to keep track. Once you've prepared a strategy, upload a copy of the document to the form field below and highlight the immediate next steps that you recommend the client take. Now that you've prepared a plan of attack that addresses your client's situation, the next step is to clearly communicate your strategy to them, making a point to highlight your recommended next steps. Based on all of the new information retrieved from your client, complete the form fields in this task and check it as completed to have the information sent to your CRM. This task can be automated with our integrations to push all of the information collected so far into your CRM when the task is checked. "There is usually a flurry of activity and a lot of dialog at the beginning of client / attorney relationships. Constant communication is reassurance to clients that action is being taken, their interests are being served and everything is in control. After the initial courting, activity normally slows down, which is when communication concerns and misunderstandings can surface." The author recommends communication on a monthly basis, but for more urgent cases the time frame will be dictated by court proceedings and legal events out of your control. "One of the biggest mistakes you can make as a lawyer is only talking to your clients when you need something from them, or when they call to yell at you. Set up a protocol to contact your clients on a recurring pattern, just to check in. Before you call, review the case status, so that you can provide a cogent update and answer any questions that may arise during the course of your conversation. A main ingredient of the vast majority of bar complaints circles around lawyers’ poor communication cycles with clients. I often recommend contacting clients every six weeks. And, I think a phone call is most effective. People receive enough email these days." Use the email widget to send a link to a scheduling tool like Calendly to schedule multiple meetings with the same URL after recommending a time frame for recurring calls that works for you. Whether your relationship with this client was a positive or negative experience, asking for feedback about the onboarding process (and beyond) is always valuable. Use the email widget below to request feedback; this example assumes you've already set up a questionnaire and have a link on hand. You can set up an integration with your survey tool of choice to automatically send a questionnaire when this checklist is completed (triggered when the final task is checked). Now is your opportunity to review the feedback questionnaire and consider how you could improve this process based on the feedback you received. Make changes to the template as you see fit and save the updates; all checklists that are running will be updated as well. Head over to the Knowledge Base for ideas on how you could improve this template with features you may not be familiar with.